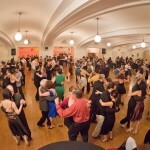 The CMC Milonga is a wonderful intimate milonga in the heart of the Mission. 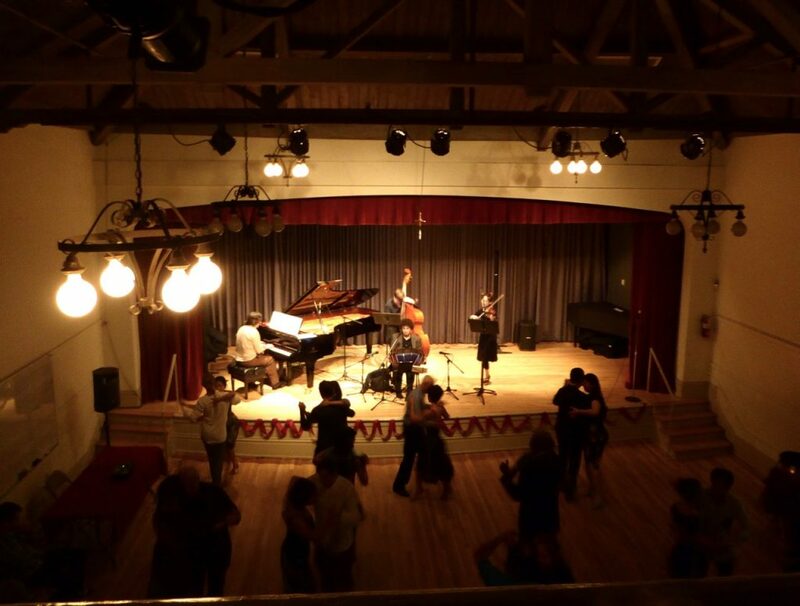 It’s held in a beautiful Victorian concert hall with smooth wooden floor and outdoor patio. 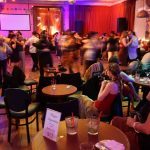 This monthly Milonga, held every 2nd Saturday of the month, often includes live music and dance performances by local and international Tango guests. Plus, all ages are welcome to come dance or just watch. If you are not familiar with CMC — it’s the Community Music Center on Capp and 20th Streets in San Francisco’s Mission district. 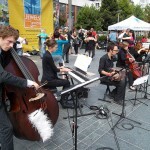 Founded in 1921, Community Music Center is one of the oldest and largest community arts organizations on the West Coast. Their mission is to make high quality music accessible to all people, regardless of their financial means. Classes are offered on a sliding scale and some are completely tuition-free. 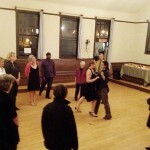 The CMC Milonga is hosted by SFCMC and dance faculty Sonja Riket. Sonja Riket, a native Belgian, has 30 plus years of dance experience. She is also a Registered Somatic Movement Therapist®, Guild Certified Feldenkrais® Practitioner, Certified Teacher in Body-Mind Centering®, Aquatic Therapist, Dance Educator and Social Change Artist. Quite impressive! Sonja has studied many forms of ethnic dance, such as Flamenco, Indian, Balkan and African dances along with a world wide career in modern dance. 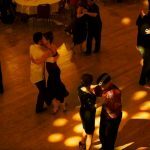 While studying Argentine Tango as a social dance in Buenos Aires, Europe and the USA, her heart found a home in this sensual and subtle art form. In 1999, Sonja co-founded Intimate Embrace Tango, which envisions tango as a medium for relationship to ourselves, each other and our world. 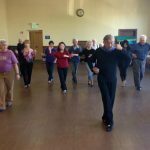 It has since inspired hundreds of novice tango dancers throughout the Bay Area to learn the subtle movements of the dance while getting in touch with their own creative expression. Sonja believes Tango is about listening and moving as one, a communication through subtle movements of two bodies joined in breath and energy. 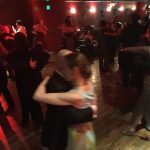 Since 2005, Sonja hosted “Tango Revolution” Milonga, held at Café Revolution in the Mission District, then found a home at Café Trieste Downtown San Francisco from 2007-2012 (with the Tango Revolution Orchestra) and then later at Berkeley’s Café Mediterraneum from 2012-2016. In 2017, Sonja will be hosting a new milonga with a slight change of name to Tango Revelation. Tango Revelation Milonga will be held the second Sunday of every other month (with some exceptions) at Ashkenaz Music and Dance Community Center in Berkeley. There will be Live Music by Grammy nominated Emilio Solla TribuTango plus Class and Dance Performance by 2017 USA Tango Champions Michael and Ana Thomas. Check out the Facebook Event page to learn more. 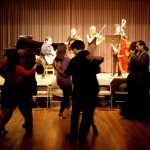 This coming Saturday, the CMC Mission Milonga is celebrating its 1st anniversary! The celebration includes traditional live Tango music by Grammy-nominated Emilio Solla TribuTango plus dance class and performance by 2017 USA Tango champions Michael and Ana Thomas! EMILIO SOLLA is a Grammy Nominated Argentina born and NY based pianist and composer. Emilio has a degree in Classical Piano at the National Conservatory of Music in Buenos Aires and a MA in Jazz Composition at Queens College in New York. He continued to study composition, arranging, counterpoint, improvisation and conducting in Buenos Aires, Barcelona and New York. His first band, Apertura, was praised by Astor Piazzolla himself as one of the most interesting new sounds in the Buenos Aires scene in 1986. PABLO ASLAN – Argentine-born Pablo Aslan is in demand for his skills as a producer, bassist, and educator, and for his knowledge of traditional and contemporary tango. His most recent album as a leader is Piazzolla in Brooklyn, a tribute to the late Nuevo Tango master. His previous CD, Tango Grill, was nominated for a Latin Grammy Award for Best Tango Album and a Grammy for Best Latin Jazz Album. Currently he is a member of the GlassHouse Orchestra, a multinational ensemble that performs in Europe and North America, and the Astoria Tango Orchestra. He plays regularly with small ensembles in the New York City area, including a three year ongoing residence at Zinc Bar with Grammy nominee Emilio Solla. 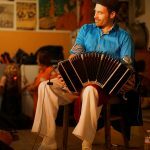 JAVIER SANCHEZ – Bandoneonist Javier Sanchez has toured the world with Orquesta Típica, Tango Pasión, Tango Viaje al Sentimiento, Pedro Chemes Group, Tango Emotión, Tanguera and Quinteto Típico Buenos Aires. He has been a member of Latin Grammy Awards nominee, Rodolfo Mederos’ Orchestra ‘Tipica’ between 2005 and 2016, Javier has performed in Buenos Aires tango shows including Café Tortoni, Chiquin Buenos Aires, Pigmalión Tango, El Viejo Almacén, Esquina de Carlos Gardel, Tango Porteño, Piazzolla Tango. Workshop and Dance performances by MICHAEL AND ANA THOMAS – 2017 USA OFFICIAL ARGENTINE TANGO SALON CHAMPIONS! Michael and Anna are siblings and Tango dance partners. They started their study of Tango at a very young age. They studied with their father Edmundo Thomas and many renowned masters of Tango who were part of the old milongueros school in Buenos Aires. Since 2006 Michael taught and performed in Buenos Aires at several well-known venues and since 2010 also in the USA. Ana studied ballet, contemporary dance and jazz at the National Arts University and graduated from the prestigious “Contemporary Dance workshop of the San Martin Theatre” in Buenos Aires. For the last 6 years she studied Tango with many maestros.